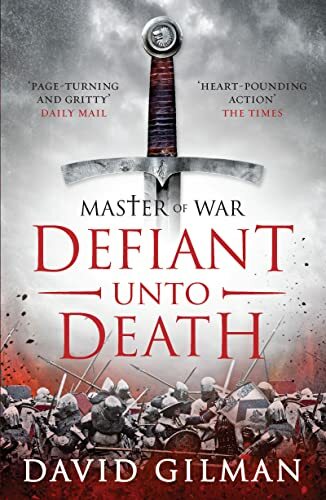 The second book from David in his cracking Master of War series and one that I’ve been waiting for for what feels like forever. Not that I’m an impatient reader but when you get treated to a story that really resonates, that gives you a principle hero that you love spending time around as well as a lead character that has to struggle to make his own way in the world all round gives me a book that I just can’t put down. Yet whilst the first is the announcement, it’s the second that sets the pace for whether a writer can be an author as they have to stick to deadlines and produce a title of the same level of quality as a book that they may have spent years on polishing to within an inch of its life. Here a great many writers fail and sink without a trace but when an author rises, the second novel for me is the one that chooses how far up the TBR pile they start. For me, David not only matched the quality of the original but for me exceeded it. I loved the way that Thomas carries on growing as the tale unfurls. The supporting cast is crisp and when added to an overall arc that really keeps the story moving at quite a clip, I’m more than a happy reader. Great stuff.